Roger Federer held off big serving Ivo Karlovic 7-6 (8) 3-6 6-3 in Saturday’s semifinals to reach his ninth consecutive Swiss Indoors final, and his 11th overall in his hometown of Basel, Switzerland. The tall Croatian gave arguably his best tennis yet in their head to head meetings, serving an incredible 33 aces and using his slice to vary his groundstrokes throughout the match. With hardly any longer rallies, it was a bit old school, and that included many approaches to net from the 5-time champion. Both players served very well, losing a combined three points on serve in the first seven games of the second set at one stretch. Federer managed to edge out in front with clutch precision serving in the opening set tiebreak, but Karlovic struck late in the second, and the sold out crowd went silent. However, the 33-year-old Swiss took advantage of his opportunity early in the third set, capitalizing at 2-1, and would quickly increase his lead to 4-1, before holding serve till the end. Federer will face David Goffin in Sunday’s final, who has been on a tear since his loss to Andy Murray at Wimbledon. The young Belgian has won 43 of his last 45 matches. 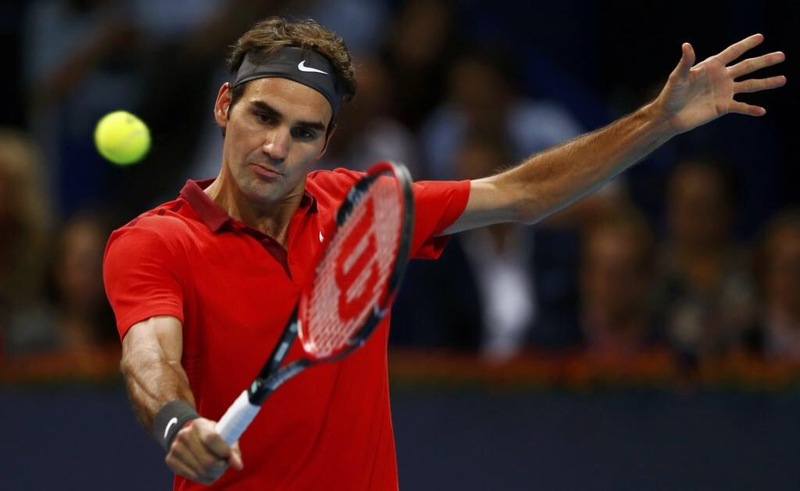 Watch full coverage of the 2014 Swiss Indoors on FedFanTV.